Which Clake product will suit me best? Since 2003, our aim has been to put total control at your fingertips through revolutionizing clutch and rear brake control. Here is a brief rundown on our products to help you decide which will suit your needs best, followed by personal comments from Owen Hutchison who designed all of the Clake products. 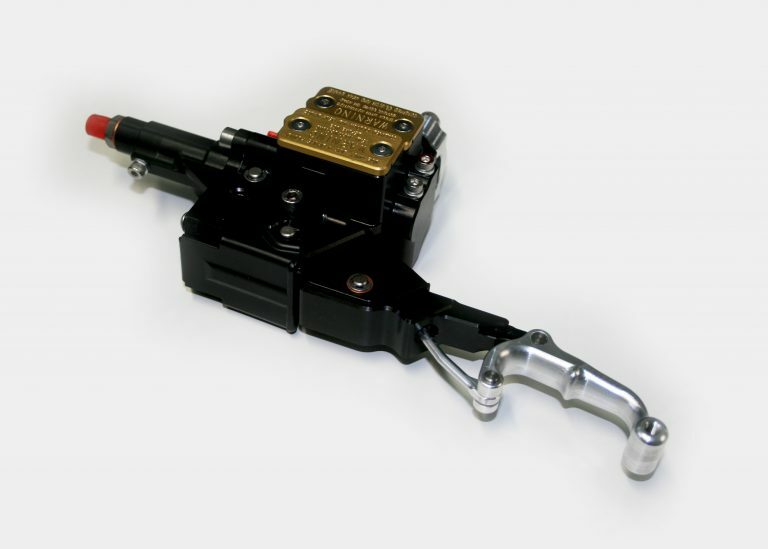 This reduces clutch pull by up to 75% without using extra leverage as some ‘easy pull’ clutch levers do. 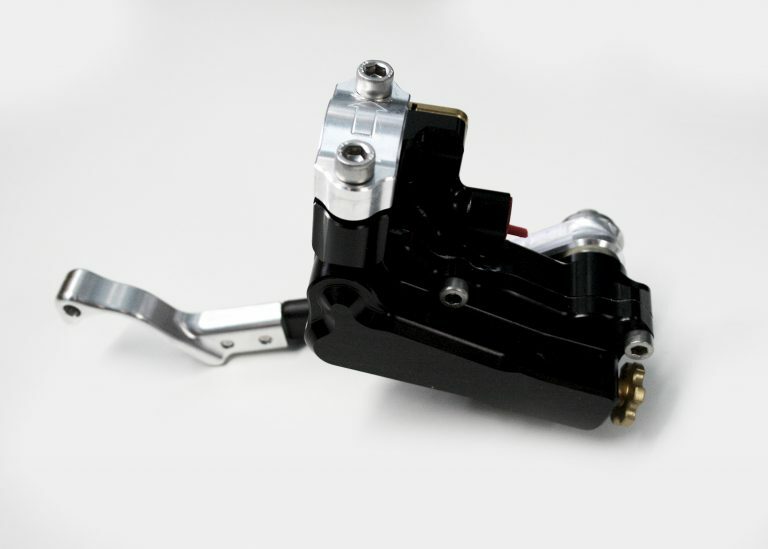 It provides improved clutch control for advanced techniques and rough terrain, and the reduced pull results in less arm pump, cramps and rider fatigue. The Clake One Light Clutch is great for older riders with arthritis, joint pain and carpal tunnel syndrome, or younger riders simply wanting improved clutch control and single finger clutch use for improved grip of the handlebars. 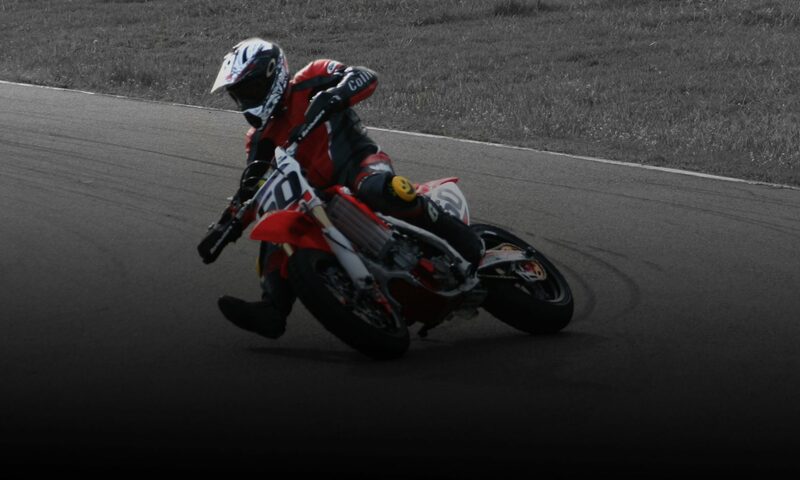 There are many advantages to a hand-operated rear brake, such as far better braking control, braking with the right foot off the footpeg, and covering the rear brake during wheelies. The Clake SLR offers the rider an ergonomic, affordable solution to adding a hand-operated rear brake to your bike. 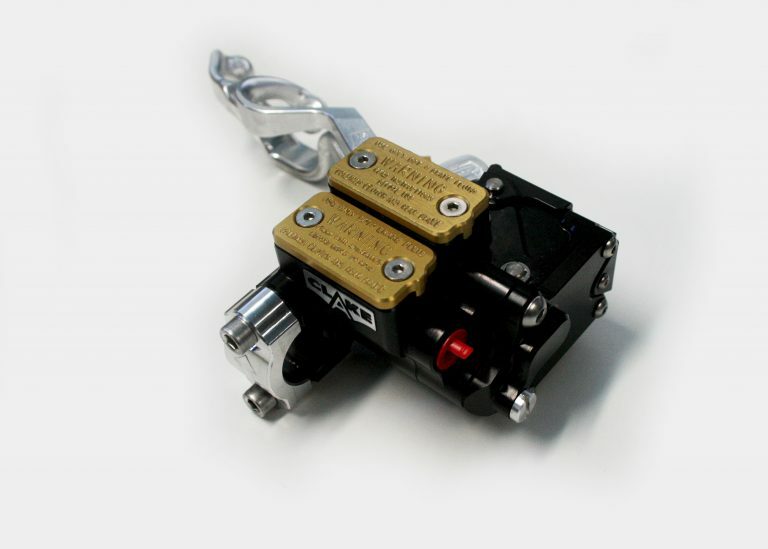 It is specifically designed to work with a Brembo clutch master cylinder as found on most European off road bikes. 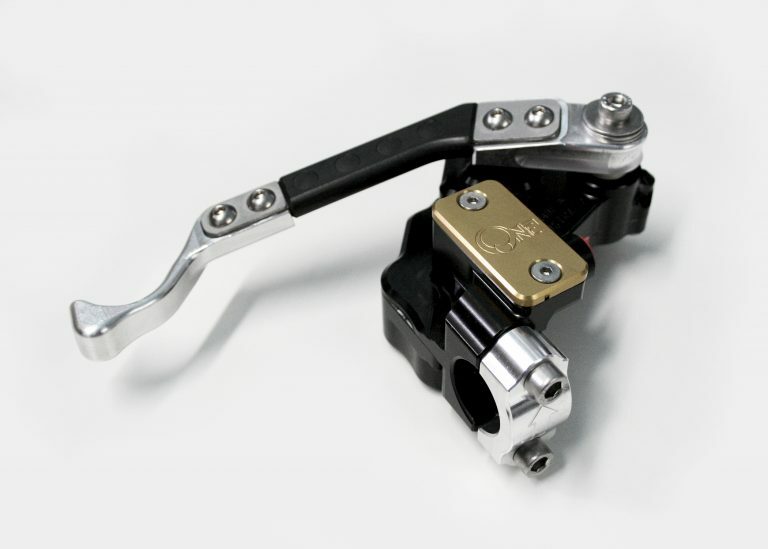 The Clake One is a single lever clutch and brake system that first applies the clutch and then the rear brake. There is an overlap between the clutch disengaging and the rear brake engaging, so ideally it is intended to complement an auto-clutch fitted to your bike – for anyone without an auto-clutch it is highly recommended you look at the Clake SLR, Clake 2 or Pro Lever systems. The Clake Two is an easy clutch with reduced pull combined with a hand-operated rear brake. It is a more versatile version of the Clake One, because it has two separate levers allowing totally independent clutch or rear brake use. It does not need to work in conjunction with an auto-clutch although some riders think this is the ultimate setup. 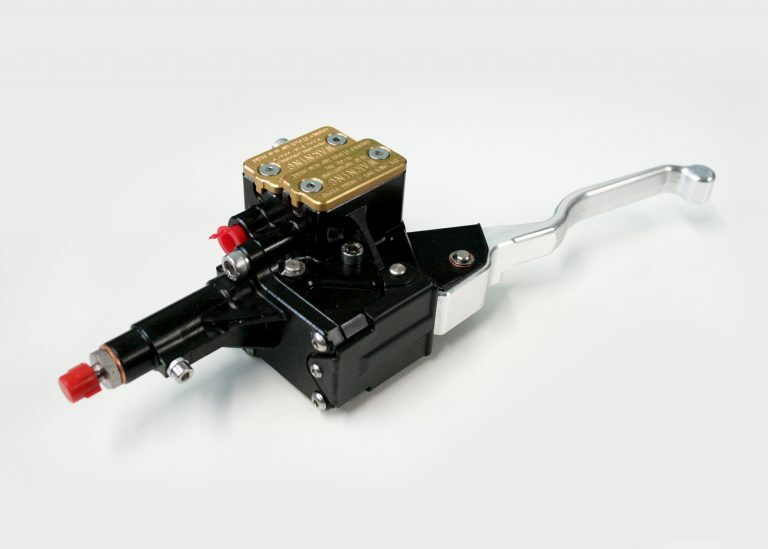 The inside lever operates the clutch only, and uses our special mechanism to have a reduced pull but with no extra lever travel needed. 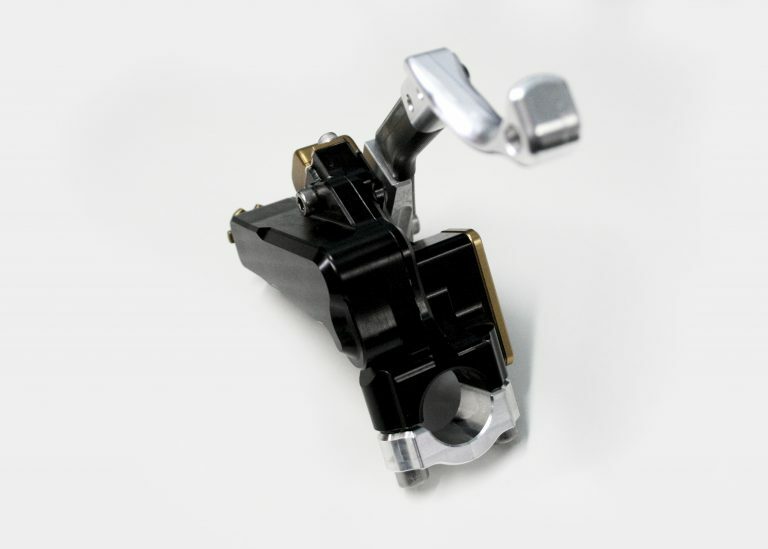 The outer lever operates the rear brake as well as also offering the ability to simultaneously actuate the clutch via an on the fly adjuster if desired. The Clake Two is the most versatile of all the Clake products. If you opt for the Dual control version you can ride it just like your normal bike with one finger operating the light action clutch, but you have the ability to use you other finger to actuate the rear brake when needed. Also the rider is able to choose instantly between operating just the clutch, or the rear brake (and also clutch if desired), by simply moving their finger from lever to lever. 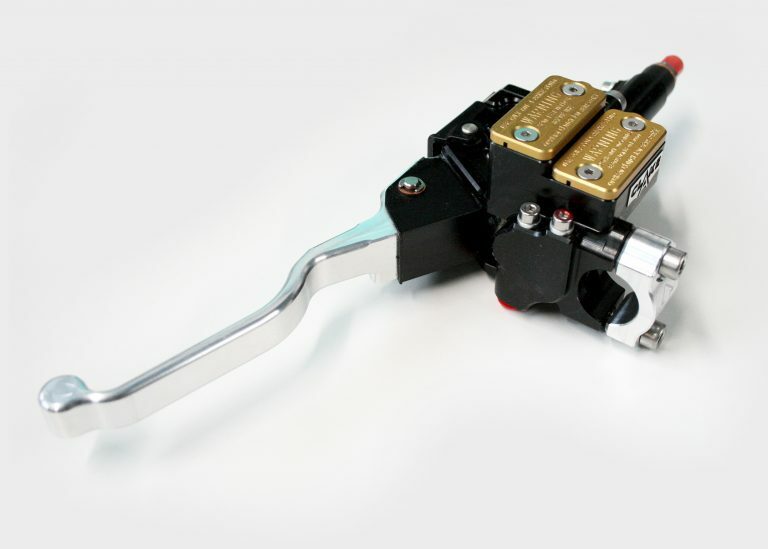 The Pro Lever has just the one lever that first disengages the clutch the progressively applies the rear brake. 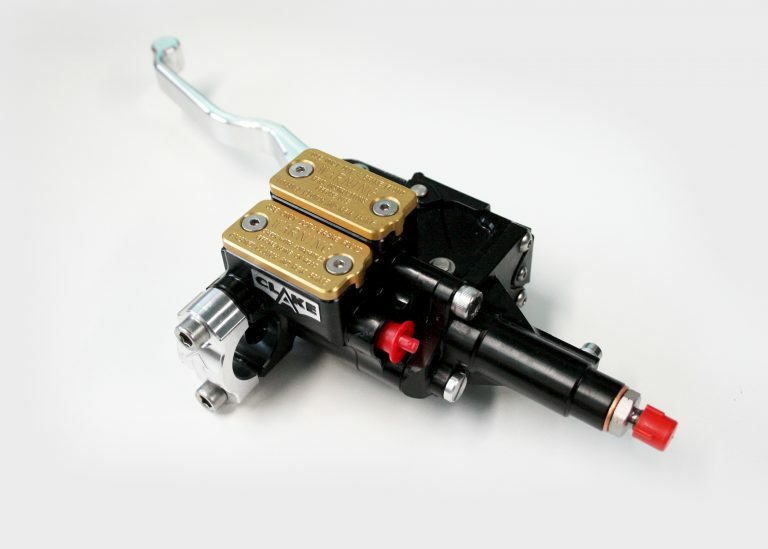 The degree of overlap between the clutch and rear brake, and also the characteristics of both the clutch and rear brake, are fully adjustable via easily changeable profiled cams. 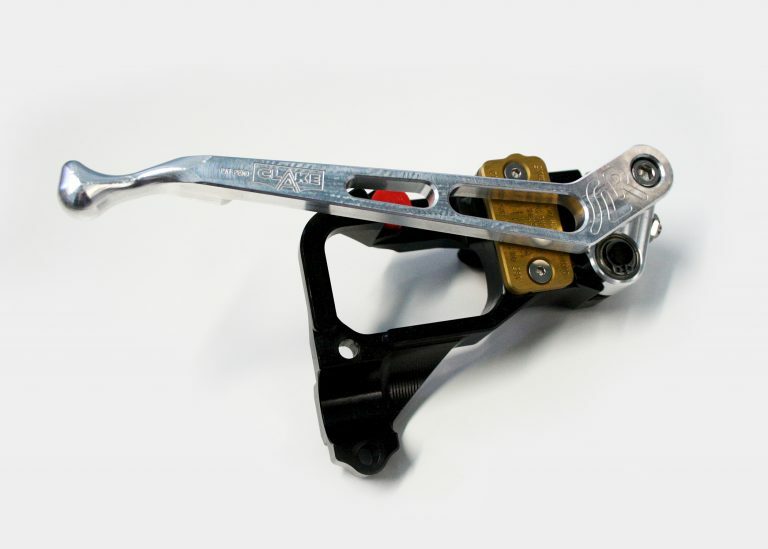 The degree of rear brake can also be decreased by pushing the lever sideways – this is handy for temporarily removing any overlap of the clutch and brake in order to wheel the bike backwards or for roll starting. 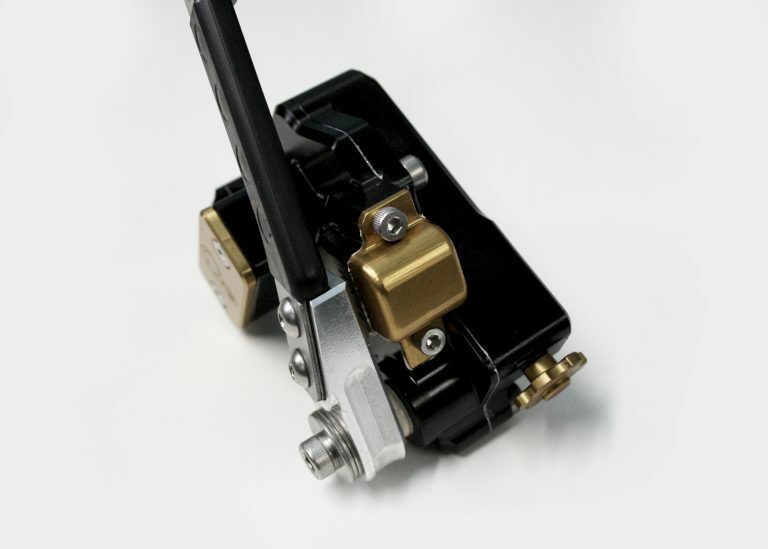 Every rider has different preferences for their motorcycle controls – if you believe that one of our products is correct for you then I would recommend that you go with this. If you are unsure, or interested, these are my thoughts and my personal preferences for our hand brake range. Bitumen, supermotard and adventure riding? I would go for the Clake 2, and this also applies if you like to heavily drag the rear brake under power as this is the advantage the Clake Two offers. If you regularly use two fingers on the lever I would also consider the Clake Two for all applications. Enduro, trail riding or trials? 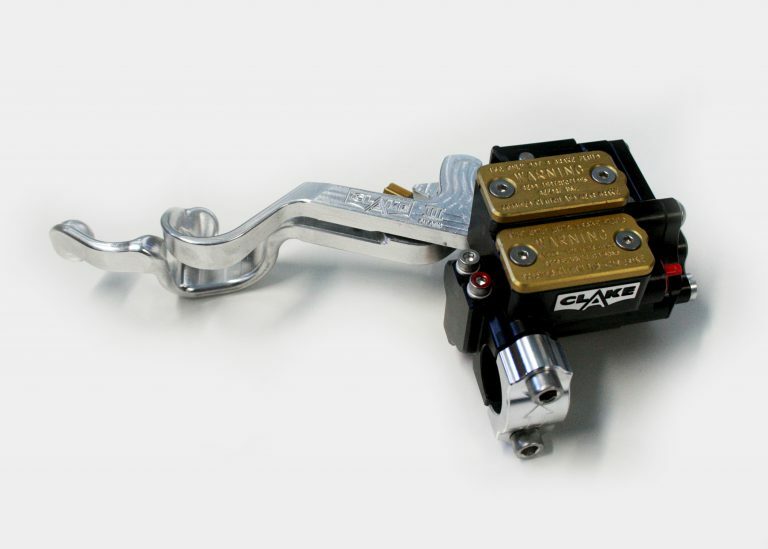 I would go for the Clake Pro Lever as this allows use of just one finger on the lever and still achieve the desired control over both the clutch and rear brake. For some riders, the Pro Lever can take longer to get used to, and it is more important to tune it correctly (having said this, tuning a Clake Two for a two stoke is very easy due to almost no engine braking). 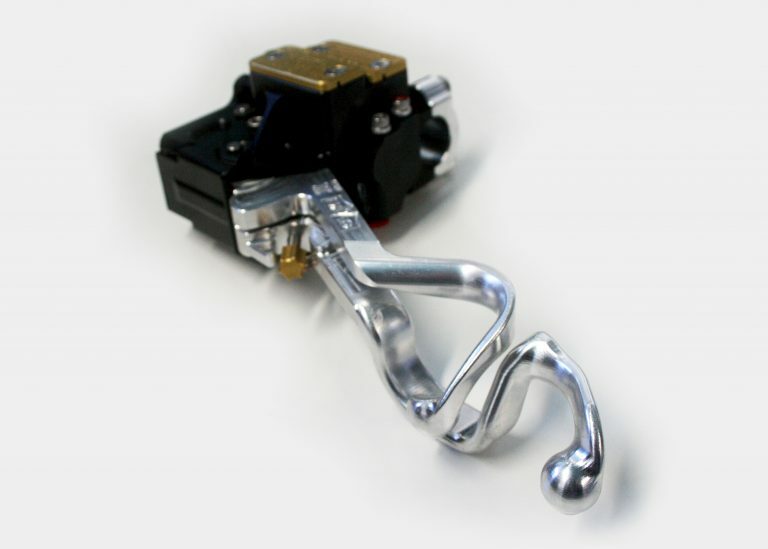 But once you are used to it, a correctly tuned Pro Lever becomes absolutely second nature to use. What about the Dual Control? 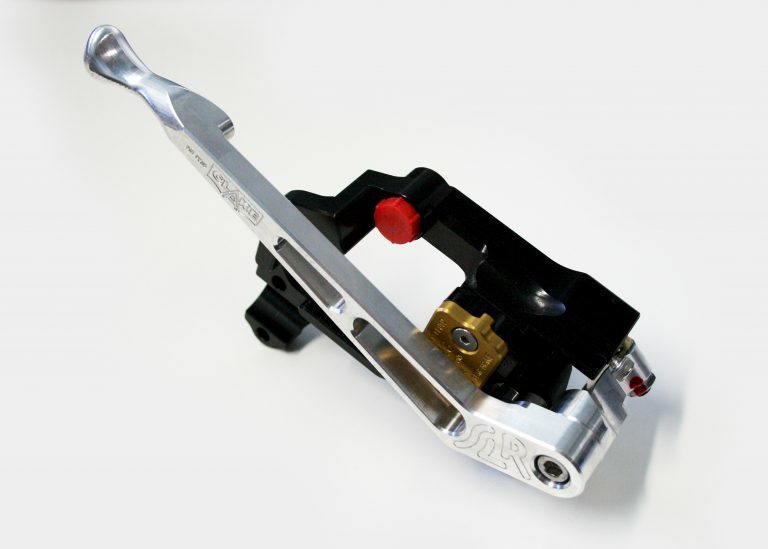 This allows you retain your rear brake pedal when fitting the Clake One, Clake Two and Clake Pro Lever. There are no disadvantages to having Dual Control (apart from the extra cost!) so generally I would recommend opting for this as it will make the transition to using a hand brake easier. Personally I don’t have dual control on any of my bikes – a Gas Gas trials bike with a Pro Lever, a KTM motar with a Clake Two, and a Beta RR300 with a Pro Lever. 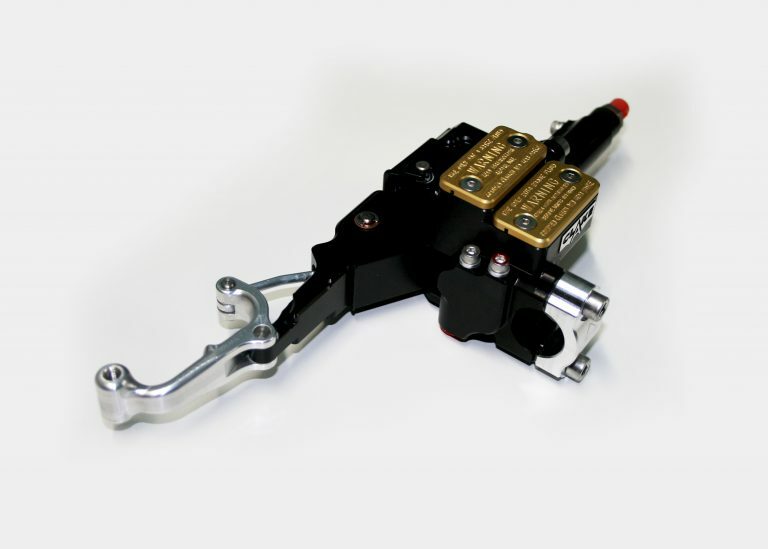 At any rate the Dual Control system can be easily disconnected, allowing you to remove the rear brake pedal and master cylinder. You can also purchase a cover plate if you want to remove the Clake Dual Control slave cylinder. 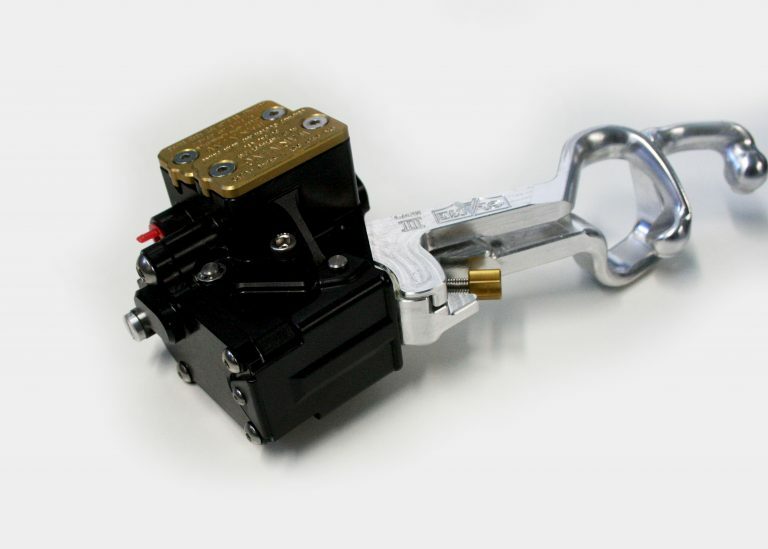 Conversely, a there is a kit available to convert a hand-only unit to Dual Control. What about the Clake SLR? 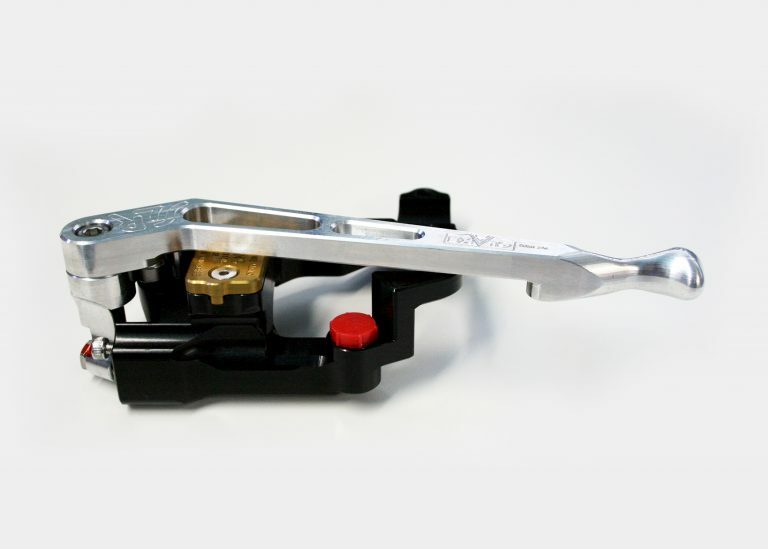 The Clake Two and Pro Lever offer a lighter clutch action and far more tune ability than the SLR, but are also considerably more expensive. The SLR is a very good economical way of achieving both clutch and rear brake control on the bars, but personally if I wanted Dual Control (e.g. 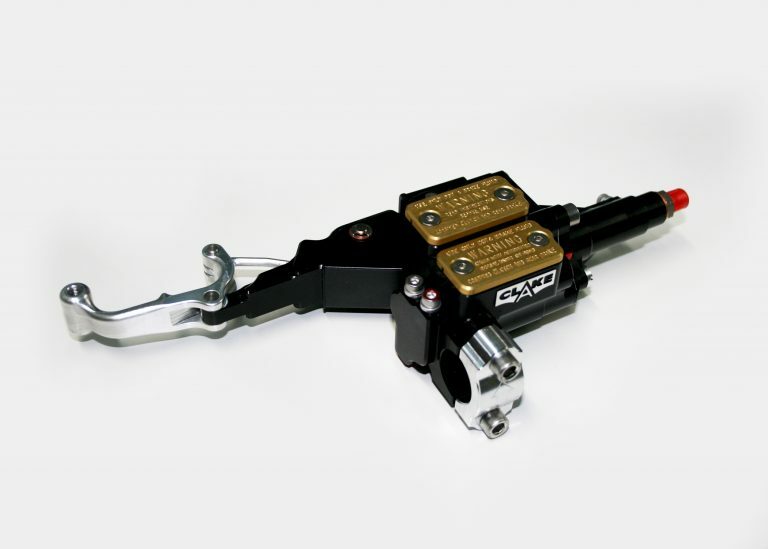 swapping between hand and foot operated rear brake) I would advise spending more for a Clake Two or Pro Lever – they have a much better dual control system. If I had a bike with a Brembo master cylinder and an auto-clutch, and also didn’t want to retain the brake pedal, I would seriously look at the SLR. In this case it is almost as good as the other Clakes but considerably cheaper. The power and the feel at the lever is improved on the SLR if you don’t have the Dual Control due to the direct line to the caliper. If this is your aim then I would also recommend the high pressure line which gives a slight improvement over the standard line – I’d guess 10% which can help at the end of a hard days riding. Both are high quality stainless steel braided teflon lines and worth it in my opinion. High pressure lines are standard on the Clake One, Two and Pro Lever. If I was on a tight budget, I would buy whichever SLR suited my needs. This may not be the ultimate setup but I think all the SLR set ups are a big improvement on what else is available at this price and having a hand-operated rear brake is so good! See the chart below which compares all the technical details of each Clake product.